A very straight, picturesque par 5 from this elevated tee. The tee shot is hit down to the fairway the only obvious hazards being the graduated rough, the out of bounds on the far left and the water hazard that winds round from the right to cross the fairway. The second shot very much depends upon the drive and capabilities of the player. Fairway bunkers right and left, a large depression on the right if you evade the bunker, a small but penalizing copse of trees on the right if you are wayward in that direction. The green is below the level of the fairway and looks very receptive in any conditions. 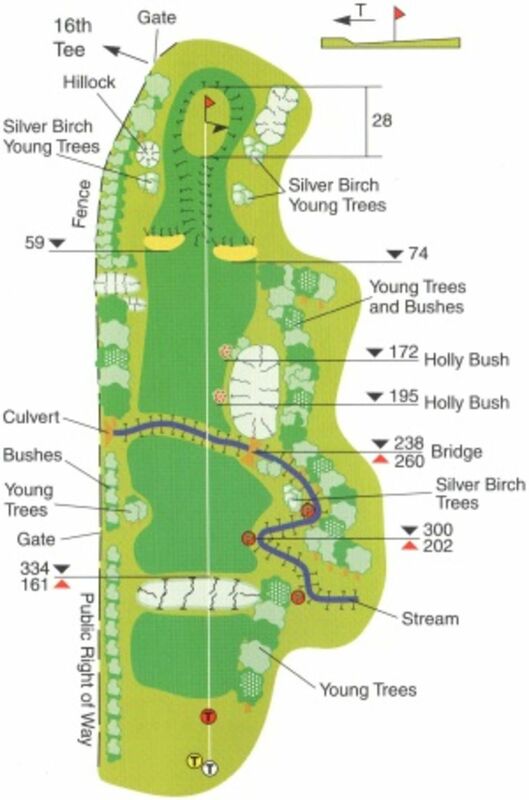 However, the surrounding banks and curves can cause problems if less than accurate approach shots are played. A large green with as usual one or two subtle borrows to overcome.